This is a resource page about coffee. Sit back, enjoy a cup of coffee and enjoy the read. We update this page once in a while to add more interesting things. Coffee comes from a tree. The coffee tree grows in countries such as Brazil, Colombia, Ethiopia, India and Indonesia. The coffee tree can grow roughly between the tropic of Cancer and Capricorn. 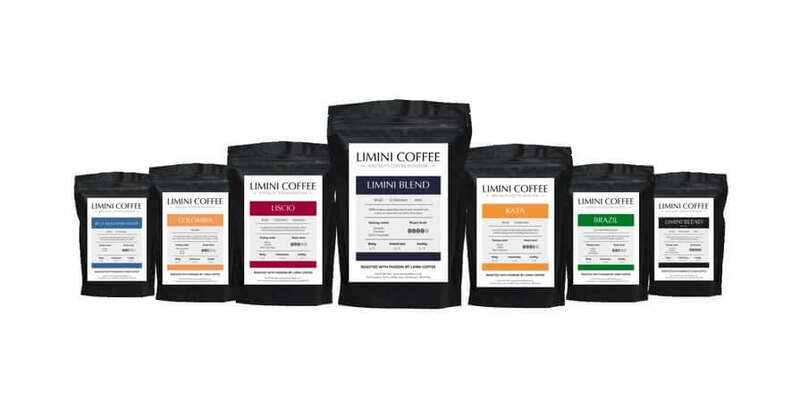 All Limini Coffee is picked by hand. Each cherry is selectively picked, one by one. This ensures that only the ripest cherries are harvested. It means the pickers return to the same tree many times. All this makes a difference to the final cup! This depends largely on what you are looking to do but most people spend between £20k and £40k. This is an all including figure. Then again, there are plenty of coffee shops that cost between £50k and £200k. There is really no way to put a set figure to this. How much coffee is produced annually? In 2009/2010 the global consumption of coffee was around 134 million bags. About 41 million bags were consumed in producing countries. The estimated value in 2009/2010 was 15.44 billion USD. How many people drink decaffeinated coffee? Estimates are that in the UK, in 2009, 13% of the total coffee consumption was decaffeinated. Why is decaffeinated coffee often disappointing? This is usually because the coffee is not ground fresh. Can you tell me some statistics about the UK and coffee? In 2009, 2.074 million bags of coffee were imported and about 21% came from Vietnam. The main countries that the UK imported coffee from were from Vietnam, Brazil, Indonesia and Colombia. 56% of the coffee was Arabica. Soluble coffee dominated the market with 85% by value and only 15% was roast and ground. Why do different coffee shop's coffee taste so different? Different high street coffee shops will use different coffee beans or different blends of beans for their coffee. Each shop will also roast their beans for a certain period of time giving the coffee a different flavour. These are two of the main factors that affect different tastes in the coffee. There is also the way it is ground, how long it is stored for and how fresh it is, the equipment and the cups which can also dramatically affect the taste. How do I know I'm getting a decent cup of coffee? There are a few things to point out. If you don't hear the coffee grinder grinding then your beans won't be ground fresh and if you don't hear milk being steamed then that is not good either. Your coffee shouldn't be scolding hot (unless you asked for it like that) and you should have a silky smooth drink (if you ordered cappuccino or latte) where the foam is not separate from the rest of the drink. If you ordered americano or espresso look for a golden crema on top. Is there a universal cup size in every coffee shop for small, medium and large? As far as we have seen no, each shop usually uses different cup sizes. Smaller, independent shops usually use smaller cups than some of the chains. The chain coffee shops tend to use 10 oz, 16 oz and 20 oz cups for their coffee, which are quite large. An independent shop usually uses 6 oz, 10 oz and 12 oz. How come not all coffee shops do three sizes? It is completely up to the shop on what sizes they offer - the standard is seen is small, medium and large. However some coffee shops will just do two sizes, a regular and a large. They may do this as they do not want to over-complicate things or because the coffee tastes beautiful in just two sizes. Does a double or a single shot go into my coffee? Again, this completely depends on the shop. Usually a shop will offer a single shot in a small and a double shot in a large. There are some shots that put a double shot in each coffee, meaning that a smaller coffee will be quite strong but the larger one may be perfect. Also this choice should be up to you. Ask the barista serving you, if you want more or less coffee in your drink then tell them. After all, it is your drink, not theirs, it should be made how you want it! Coffee is the seed of a cherry. This seed is then roasted to a temperature of 210 °C to 240 °C. The result is a dark looking seed which we call a coffee bean. The flavours are then extracted from the beans with the use of water. It shouldn't be. Good quality coffee should not be bitter. Bitterness is a result of either low quality coffee, stale coffee, bad barista techniques or dirty equipment. A good coffee should be naturally sweet. How much is a bag of green coffee? A bag of green coffee is usually 60kg. Who is the biggest coffee producer? Brazil is the biggest coffee producer. In 2011 Brazil produced 43.48 million bags of coffee. That is a lot of coffee! Vietnam is the second biggest producer but only of Robusta coffee. Ethiopia is the second biggest Arabica producer, just a little more than Colombia. What is Robusta and Arabica? Coffee comes from the family Rubiaceae and the genus Coffea. Arabica and Canephora are two species. Robusta is a varietal of Canephora. A varietal of Arabica would be Typica or Bourbon. Arabica is seen as the better species. How much coffee does a tree produce? A coffee tree produces around 2,000 cherries each year. You need around 25 cherries to produce a single espresso and around 3,500 cherries for a kilo of coffee. Who imports the most coffee? The USA and Germany are the biggest importers of coffee. Japan, Italy, France, Spain, Belgium and the UK do quite well also. What is better: a darker or lighter roast? This comes down to what you prefer. A darker roast will have less acidity and less defined flavours but more body. A lighter roast will have more acidity, pronounced flavours but less body. Why do prices in coffee shops fluctuate so much if all coffee costs the same? E.g a cappuccino in a big chain cost me £3 but only £2.15 elsewhere? Even though the raw ingredient is often around the same cost (difference between high quality and poor quality coffee is only a few pennies per cup) the difference is often in the overheads. A high street shop has higher overheads then a shop on a side street in a village. Certain shops will value their coffee differently as well. Remember, you are not just paying for the coffee but for the whole experience. What is 'wet' and 'dry' and 'extra hot'? I hear these terms used quite a lot. Wet is a term used for drinks with no foam, or hardly any foam, therefore more 'liquid' milk, making them wet. Dry is the opposite, a term used for a drink with more foam. Extra hot is quite self explanatory, a drink where the milk is taken past or about 70 °C and made extra hot. How long do beans keep once I've opened the bag? This depends entirely on when the coffee was roasted and how fresh it is. After coffee has been roasted it needs to settle for around a week for all the gasses from the coffee to escape and settle. If your coffee was roasted just a few days ago it should last (in bean form) around a couple of weeks in an air tight container. If your coffee is from a supermarket or is not freshly roasted then it can go stale in a day once exposed to air. Espresso coffee needs gases in order to produce a good crema and therefore needs very fresh coffee. Buying coffee already ground is always risky as it is going to start losing freshness as soon as it is ground. Your local coffee shop will most likely be able to offer your fresher coffee. How long has it been sat on the shelf for? It is better to buy in bean form and grind fresh at home if possible. If you don't have a grinder at home then see if your local shop will grind some fresh for you. How long should I wait for my coffee in a shop? My drink always seems to taste better in a mug than a take away cup? Some people prefer hot drinks in actual cups rather than takeaway cups put the taste should definitely not be affected. This is just a placebo. What makes an espresso machine good or bad? Besides overall build quality the importance lies in reliability, ease of use and temperature stability. Levers to operate steam are easier than dials. Some machines are easier to clean and easier to use then others. The temperature stability is so important because espresso brewing is sensitive to temperature. A consistent brewing temperature will result in more consistent flavours. Do I need a two group or three group machine? A two group espresso machine allows you to brew 2 x 2 single espressos at a single time. This means that you could in theory produce 4 regular coffees at the same time with a two group espresso machine. A three group espresso machine allows you to brew 6 regular coffees, or 3 large coffees at the same time. A three group machine will use more power but can make a bigger statement then a two group machine. How long does it take to roast coffee? This depends very much on what type of roaster you are using, what coffee you are roasting and how you prefer your coffee. Usually a drum roaster takes about 15 minutes. A little hot air roaster can roast coffee in 4 minutes. It is certainly not a matter of longer/shorter is better. There is much more to roasting coffee. This varies depending on the coffee that is being used. For example, Robusta coffee contains more caffeine than Arabica. On average, a 5oz, filter coffee has around 90mg and instant coffee about 65mg. How many coffees do you get out of a kilo bag? This would be around 140 espressos. It depends on how much grams you use per espresso. Usually you use around 7 to 9 grams of coffee per espresso. What is the difference between caffe latte and a cappuccino? This varies depending on the coffee shop and how to prefer to serve their drinks. We prefer to serve a cappuccino in a smaller rounder cup compared to a caffe latte. We also add more foam to a cappuccino. Why is an espresso so small? An espresso is a “shot” of coffee, a really small volume, intense kick of pure coffee. Because of this it should be around 25-30ml and is the base for every drink you make. Good colour, decent amount of crema, fresh coffee, good extraction time, handsome barista. What is the difference between instant coffee and espresso coffee? Isn't it all just the same? Instant coffee is basically second hand coffee. It is when coffee is brewed and the coffee particles are freeze or spray dried and put into jars. This is why when you pour hot water over them they 'reinvigorate' the coffee. Espresso coffee is fresh coffee beans which are ground to a powder-like grind, then are put under pressure in an espresso machine where water is forced through the particles to create an intense, smooth shot of coffee. This old coffee grind is never used again. We know which one we prefer. What is the difference between a bean to cup and espresso machine? Is one just easier to use? A bean to cup machine grinds the beans from the top of the machine and then extracts them, milk (or powdered milk) is also prepared and they are both mixed in the machine and poured into a cup automatically. An espresso machine is to be used by a highly skilled barista and does not directly produce coffee, it is the combination of barista, grinder and espresso machine that produce coffee. Coffee beans are freshly ground, tamped and extracted through the machine whilst at the same time fresh milk can be steamed. Bean to cup machines are far easier to use but results are often poor with ingredients (milk, coffee) being sat for a long time. What is the difference between a coffee blend and a single origin coffee? I'm confused. A coffee blend is where two or more different coffees are put together into a blend to offer a lot more flavour, body, sweetness etc. For example, Brazil, El Salvador and India, all of these coffees put together would create a blend. A single origin coffee is just a 'singular' coffee - for example just Brazil. A single origin coffee gives one particular taste, very distinct.